But the time for speculation is over, and it’s time to pick a few potential winners. Here’s who I think could lift the trophy on Sunday Evening (with odds courtesy of mybookie.ag). Since The Masters, no golfer has been better tee-to-green than Justin Rose. He’s only played three times since then, but that includes a dominating win at Colonial and another Top 10 finish at The Memorial. Since the Masters, he’s averaged 2.33 Strokes Gained Tee-To-Green over the field, and he’s done it with complete balance in almost all facets of his game. Rose also has the experience to thrive in the tough conditions that a U.S. Open will throw at him. He won the 2013 U.S. Open at Merion, regarded as one of the toughest U.S. Open’s ever played. 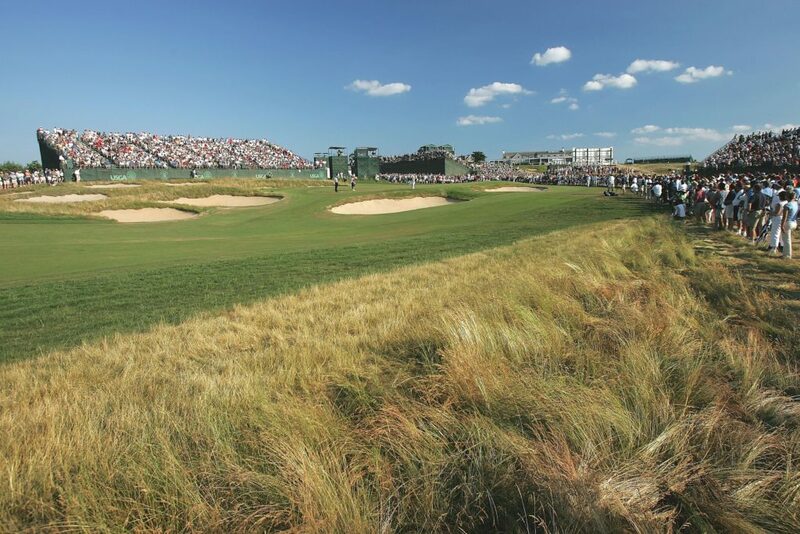 This year’s edition of the most grueling major in golf won’t be a birdie fest like last year at Erin Hills. I’ve been critical of Justin Rose that in a field of the best players in the world, his ceiling just isn’t as high as others and would be exposed in a tournament that required an avalanche of scoring and hot streaks. But the U.S. Open is a different animal. Raw talent doesn’t always prevail at the event, and qualities such as consistency, patience, resolve and flexibility are most often seen in typical U.S. Open winners. Those intangibles are qualities he most certainly has. 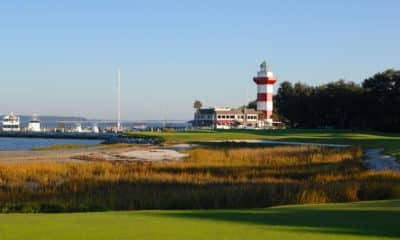 A course like Shinnecock Hills will be a stiff test in all areas of the game, both physically and mentally, and no golfer right now is better prepared for that than Justin Rose. I don’t care about the putting struggles he’s had all year long. And I don’t care that the last time we saw Jordan Spieth he lost almost three strokes tee-to-green at The Memorial, easily his worst performance of the year. At a place like Shinnecock Hills with windy conditions and uneven lies that commands premier ball striking (especially on approach shots), a guy like Jordan Spieth will always be a legitimate threat to hoist the trophy. Am I concerned about his putter? You bet I am. But the greens at Shinnecock Hills this weekend are going to play tough for everyone, and when that happens it levels the playing field. Everyone will three-putt a green at some point this weekend. Besides, putting is the most streaky aspect of a golfers game, and good performances can come and go just as frequently as the bad. Where he can separate himself is with the elite ability in the fairway to identify his marks on the green and execute to perfection. He has the ability to hit a gear with his irons no other player right now can get to, and if that shows up this week – look out. Dustin Johnson did everyone a favor when he won at Memphis last week by pushing his odds way up and providing a lot of value on some other favorites. 18/1 for Jordan Spieth is just too good of a price to pass up, even if you’re gun shy on him. Rickie is in a similar spot right now to where he was heading into The Masters. His game is a bit in cruise control, which isn’t necessarily a compliment. He’s been pretty good at the events he’s teed it up at over the last two months, but pretty good usually isn’t good enough to win a U.S. Open Trophy. There’s nothing really bad about any of his relevant ball-striking stats heading in. On the year he’s 31st in Strokes Gained Tee-to-Green, 58th Off-the-tee, 54th on Approach and 25th Around the Greens. Even his recent stats are acceptable – since The Masters, he’s averaged about a stroke gained tee-to-green on the field. But he just hasn’t been able to take it to the next gear like you’d want to see from a favorite you’re thinking of laying capital on. At the Masters, I chose to look at Rickie with a glass-half-empty attitude. I was wrong, and I’m not going to make that same mistake again. Like Spieth, it takes a bit of faith to ignore some flashing warning signs and instead stop nitpicking him and rely on the fact that Shinnecock Hills should bring out the best in him. Fowler has historically been a very good player in windy conditions and at links-style courses, and when I picture how Shinnecock Hills will play he’s a guy I see in my head that can hold the trophy. He won’t win by boat racing the field or win wire to wire. How I see Rickie winning is to hang around for the first three rounds, grinding out pars, making the occasional birdie, and avoiding big numbers to be three or four strokes back heading into Sunday. Most of his wins have come when he’s a bit under the radar heading into Sunday. But then on the back nine he gets on a bit of a hot streak, he catches a few lucky breaks and he ends up in the winner’s circle by sunset. I’m traditionally more of a numbers and analytics guy, but my bet on Rickie Fowler to win the 2018 U.S. Open is straight from the soul. Don’t go breaking my heart, Rick. This pick is in anticipation of the windy conditions throughout the weekend. Branden Grace has one of the lowest ball flights on the PGA Tour, and it’s because of this is why he’s posted some of his best finishes at major championships on links-style courses. Grace was right there with Spieth and Dustin Johnson down the back nine at Chambers Bay before depositing his tee shot on 16 onto the railroad tracks. He also set the scoring record at Royal Birkdale in the final round last summer to climb to a T6 finish. His low ball-flight is often a big advantage over guys who hit towering drives and approach shots at these style of golf courses. If it starts howling out there, he’ll have a much easier time finding greens and fairways than high ball hitters who need to fight the wind more. Grace’s performances on the scorecard this year hasn’t quite matched his performance in the stat sheet. Since The Masters, he’s averaged about a stroke gained tee-to-green on the field, which is about 0.4 strokes higher than his season-long average and shows he’s trending upwards heading into this weekend. Grace also passed with flying colors at Trinity Forest with a Top 5 finish, which was designed by the team of Coore and Crenshaw who also helped restore Shinnecock Hills in 2012. 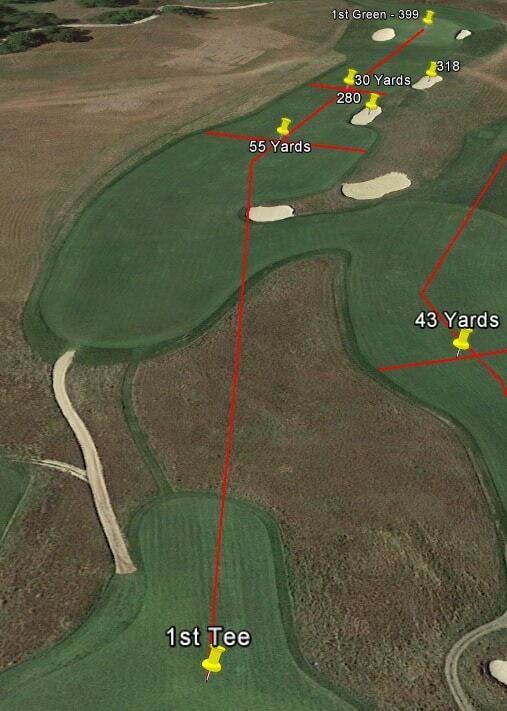 Trinity Forest didn’t feature penal rough like he’ll see this weekend, but the basic principle to take advantage of “width and angles” that breeds success at] there will also play a big factor at Shinnecock Hills. Grace has the tools in his game to stay in the thick of things all weekend. He’s been very close in the last few years, but this week feels like he’s about to break through for his first major victory. It’s been a bit of a mixed bag of late for King Louis. 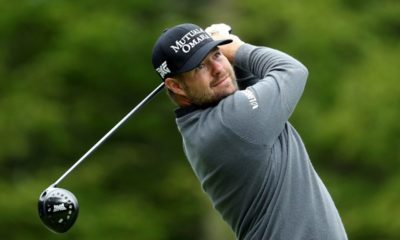 Oosthuizen missed the cut at both the Wells Fargo and the Players Championship, averaging a dismal 2.05 strokes lost to the field tee-to-green. After a week off he played at Colonial and Muirfield Village and played much better, averaging 1.78 strokes gained tee-to-green and showing big improvements in his performance on approach shots. I’ve been wrestling for the last week or so to try to figure out which player will show up on Thursday- the one who looked like he didn’t belong on the PGA Tour or the one who posted a T5 and T13 in his last two starts. For me, the deciding factor comes down to his good history at links-style golf courses and his ability to rise to the occasion in big spots. Oosthuizen holds the career grand slam in runner-up finishes, finishing second in all four major tournaments. With a few lucky breaks, he could be a three or four-time major winner and we’d be looking at his career a lot differently. If the ball-striking that Oosthuizen showed in his last two outings makes the trip out to the Hamptons, he should show very well at a place that suits his game well. We’ve seen him play excellent at true classic golf courses that required consistency and premier ball-striking like at Augusta and St. Andrews. 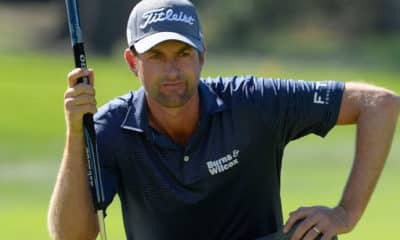 He also showed he can rally from adversity when he stormed back from an opening round 77 to a T2 finish at Chambers Bay. That was a U.S. Open I believe could have a similar leaderboard to what we’ll see by the end of this weekend, so we could be in for a repeat performance from him (sans the 77 opening round). Maybe this time he won’t be the bridesmaid and can add another major trophy to his collection. Like Oosthuizen, Kuchar is another guy who’s trending upward after a slow start to his 2018 season. He’s played six tournaments since The Masters and he’s gained about a stroke per round tee-to-green over the field during that stretch. That’s about half a stroke higher than his season-long average, so even though he didn’t post a Top 10 at any event he played in over the last month, the numbers show he’s heading in the right direction. He’s still struggling a bit off the tee, but he’s picked it up with better statistics on his approach shots and scrambling. With more forgiving fairways this year than the last time the U.S. Open was held at Shinnecock Hills, Kuchar doesn’t have to be perfect off the tee this week and can lean on the other strengths of his game to hang around the top of the leaderboard. Kuchar also has the temperament and patience it takes to play well at a place like Shinnecock Hills. Kuchar has one of the best attitudes on the golf course, and he has the keen ability to keep a smile on his face and shrug off adversity. It’s a reason why he’s one of the most consistent golfers on the PGA Tour, but it also could be one of the reasons why he hasn’t won a major yet. You look at recent major winners like Jordan Spieth, Justin Thomas, Patrick Reed, Brooks Koepka, Rory McIlroy and Dustin Johnson – all of them have that fifth gear and killer instinct to be able to close out a golf tournament. Kuchar doesn’t have that. But this week will require those to keep the emotions in check and take what the course gives them. There’s not a lot of golfers better at that than Matt Kuchar, and maybe this is the week he finally ends up on top. I don’t think Koepka will become the first back-to-back winner at the U.S. Open since Curtis Strange. But I love how well his game has improved since he came back from an early-season wrist injury. He looks to be peaking as we head into the U.S. Open. Since he returned, Koepka has averaged over a stroke gained tee-to-green, primarily because of his driver. While most everyone is enamored by his crushing drives, what makes Koepka great is his fantastic touch around the green and on the putting surface. When he’s firing on all cylinders, he can drive it like Dustin Johnson, fire pinpoint accurate lasers into greens like Jordan Spieth, and roll the rock like Steve Stricker. The guy is the total package. He won’t be able to overpower Shinnecock Hills like he did to Erin Hills last year. But he’s typically a mainstay at the top of leaderboards at majors because his game is just so rock solid in almost every facet. I expect that again this year for yet another Top 10 finish in a major. This is a popular prop the books like to offer on Tiger and one I love to bet. For me, I find it a lot of fun to critically think about how his opening hole will play, what the right shot is, what weather conditions will impact his decisions and whether or not I think he can execute the shot. This hole features the ultimate risk/reward strategy. Some golfers might opt for the safer shot and put a fairway metal or iron into the wide landing zone approximately 260-280 yards away. This safe shot sets up an easy high lofted iron into the green. More bolder, longer hitters may try and cut the corner by carrying the bunker 280 yards away, and with a helping wind, they could run the ball almost all the way to the edge of the green. Anyone who tries this but fails will most certainly find themselves hitting out of deep fescue for their second and card a bogey or worse to begin their U.S. Open. Unfortunately, weather conditions on Thursday look like it’s going to make the golfer’s decision very easy. The winds on Thursday are expected to be out of the west at 12-16 MPH, meaning that the 1st tee will play into the wind. It would be reckless for someone to pull driver in these conditions and try to go for the green. The reward would be minimal as even if they carry the bunker and hit the bottlenecked fairway, they’ll have an awkward approach distance into the green. Instead, most will opt for the safer play and put their tee shot in the fat part of the fairway to have a full-swing shot at a distance they’ll feel comfortable with. Given the conditions, this hole sets up perfectly for Tiger to pull out his driving iron and launch a stinger into the middle of the fairway. This hole will be one of the few birdie opportunities the golfers will have on the course. It would be devastating for Tiger be needlessly greedy when he could achieve the same result relying on his wedges, which has been the strength of his game heading into the U.S. Open. 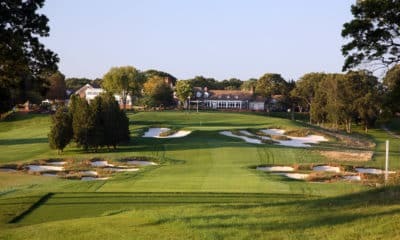 So for anybody who may be reading this that will be out at Shinnecock Hills on Thursday – if you see him ask Joey for the driver, for the love of god run out onto the tee box, break his driver over your knee, hand him his 2 iron and tell him stop trying to be a hero as you’re dragged off to the Suffolk County jail. You’ll not only be doing him a favor and help him avoid a sure-fire opening bogey, you’ll be doing a great service for anyone who bet on Tiger to hit the fairway on his opening hole. While the winning score at Shinnecock Hills won’t go low like it did at Erin Hills last year, the two courses do share some similar characteristics from an architecture standpoint. Each subscribes to the “width-and-angles” approach to the layout of a golf course and will reward those that not only take chances at the right moment but will also reward those who execute the shot to perfection. Likewise, those who do not execute a shot adequately will be punished accordingly. That’s how we saw a wide spectrum of results from the favorites at Erin Hills – studs like Brooks Koepka, Rickie Fowler, and Justin Thomas all played beautifully and were rewarded as such, and others like Dustin Johnson, Jason Day, Rory McIlroy and Jon Rahm didn’t have even their B game and were punished accordingly. I see a similar situation playing out at Shinnecock Hills. The golf course won’t just weed out the more talented players from the least – it’ll properly weed out the players who are playing well this weekend from those who aren’t. We’ll probably see a lot of surprising names who don’t make the weekend, but we’ll also see a golf course that will bring out the absolute apex of some of golf’s greatest names. While the winds will certainly be a factor, it’s a manageable one for most players. It’ll make things very difficult for those who are careless, but the players should be able to overcome it as long as the course remains with playable conditions. B – Evil, maniacal Mike Davis: AKA God. Much has been made about how the USGA allowed Shinnecock Hills to play much tougher than it needed to be and how their neglect made the course get completely out of control. 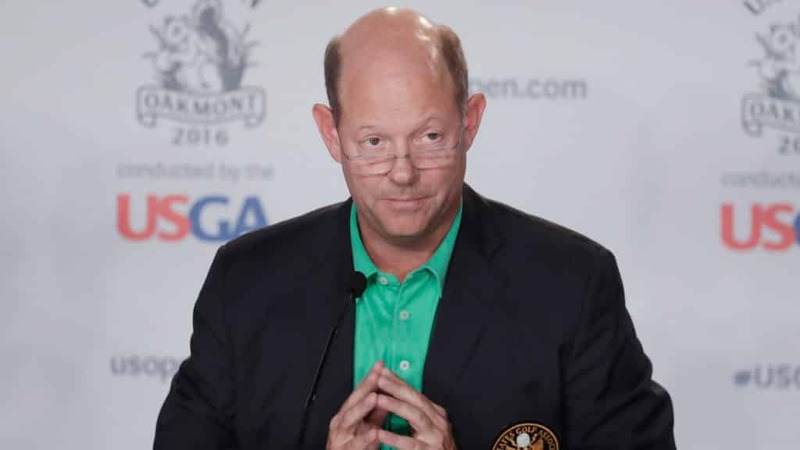 The USGA has been pressed this week about how they’ll make sure that doesn’t happen again, and they’re saying all the right things. They acknowledge that mistakes were made in 2004. They’re using new technology to better monitor moisture content of the golf course. They’re prepared to act where they lacked action in 2004. The USGA recognizes that they need to have a good week from a PR standpoint, and it’s not just because of what happened in 2004. They need to atone for turning Merion into a circus. They need to repent for bungling the setup of Chambers Bay and turning one of the most unique and beautiful modern golf courses in America into a cow pasture. They need a re-do over how they handled the “will-we-or-won’t we penalize Dustin Johnson” affair at Oakmont. And while I didn’t mind the low scores seen at Erin Hills last year, the tournament certainly had its fair share of critics. I believe the USGA will handle itself properly this weekend and present a golf course of the highest caliber to both the players and the fans. This U.S. Open could truly be special and I believe we’ll see a worthy champion who’ll post a quality winning score when it’s all said and done. The number I have in my head of the winner is -6, so I like Under 275.5. No matter how your bets turn out, I hope you all sit back and enjoy what could be the best U.S. Open we’ve seen this decade. I may be wrong on some of the bets above, but I’d bet my life that we’re in for a treat this weekend.